Awesome Level 9000 is the first of hopefully many expansions for AEG’s new hit game Smash Up, if you haven’t already checked out my review of Smash Up you’re really missing out. I’ll give you a few minutes to go read it and check out the video, go ahead, I’ll just be here tapping my foot impatiently. Alright, back now? Good. Now let’s check out what’s inside the box. Not only does AL9K add more to the game in terms of factions and options, but it also adds in a few touches of polish the original lacked. 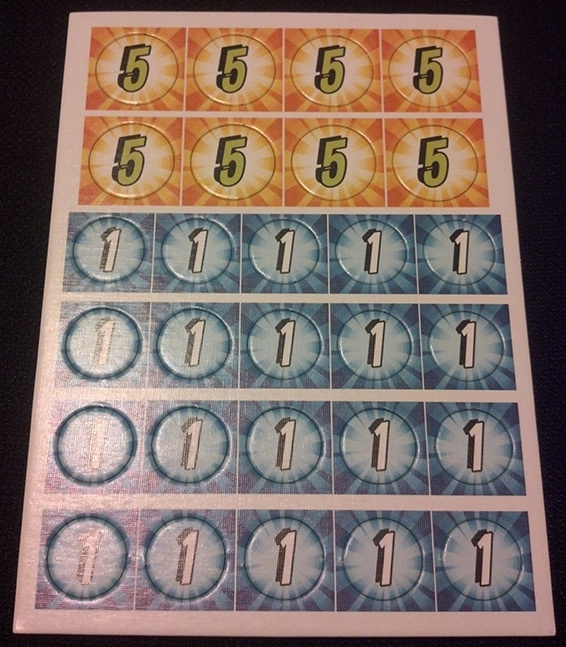 The new base cards are much easier to read because of their enlarged text and they’ve also provided a nice victory point tracking method this time. You can recycle the box and toss the added cards into your original Smash Up box if you’d like to, which is nice for those of us with overflowing shelves of games. Aside from those goodies, the game adds 4 new factions for mashing up. I’m going to give you a run down of how each one feels in play and then we’ll do a quick wrap up! Steampunk – This faction is really a grab bag of mechanics, which feels appropriate for the hodge-podge cobbled together nature that steampunk seems to invoke. 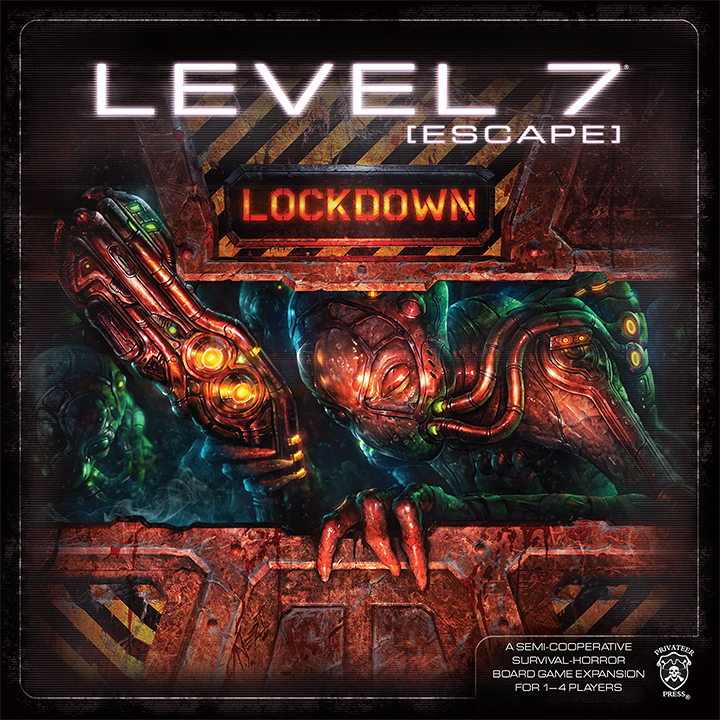 Whirring gears, zepplins, and lots of other gizmos focus big on recycling your own actions, minion manipulation, as well as both escaping and negating your opponents actions. Steampunk feels like a welcome addition when paired with almost any other faction, especially more headstrong ones like pirates or ninjas. Bear Cavalry – Strong. Like Bull! This faction has a very soviet feel, including a card entitled “Bear Rides You”. The cavalry focus on both destroying and moving opponents minions, granting invulnerability to your minions and buffing up their power levels as well. Lots of fun to play with robots and zombies I’ve found. Ghosts – Perhaps the most unique new faction are the ghosts, the essence of their play style is very incorporeal indeed in that you should find yourself emptying your entire hand very often. The ghosts focus on playing from discard pile, emptying your hand via many discard mechanics built into the minions and actions, bonus actions & minions, as well as some direct VP gain. 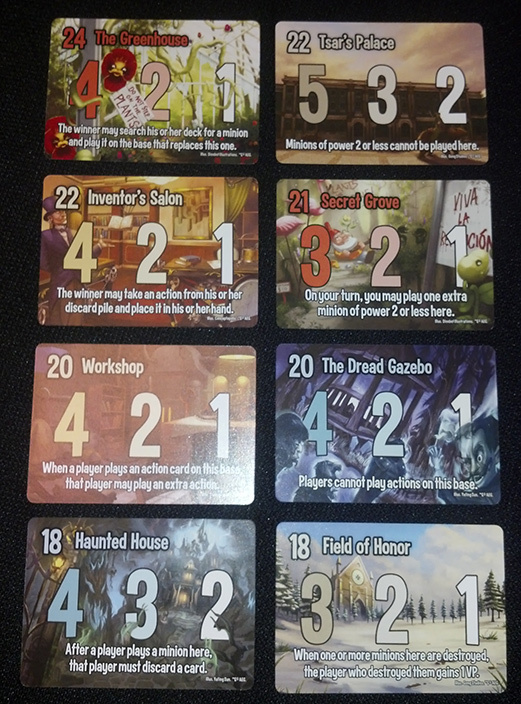 The ghosts are really a treat, and have a bit of a learning curve at first until you know how to play them. Try pairing them with zombies for tons of grave shenanigans, or with aliens for a bunch of straight up victory point gain. Plants – The feelings of constricting vines and power creep are definitely a big part of the plant peoples. They focus on pure destruction, and slightly delayed results as plants “grow” to bigger effect one turn after they are played on a good chunk of the cards. There’s also a fair share of drawing extra cards, searching your deck, and weakening opponent minions. I think plants work well in horde scenarios such as with robots, or the tricksters. The 8 new base cards in the set here really take the theme from the factions they are tied to and reinforce them very strongly. I think that this was a really nice touch that was done well in the base version of Smash Up, that they’ve just further improved upon with this expansion. You’ll really want to be fighting to score your own bases here, and it’s a lot of fun. 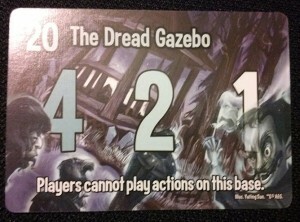 Not to mention, they’ve included the best base card possible ever, in any game: The Dread Gazebo. Call me biased, but this sets the game somewhere at least around ‘awesome level 18,000‘ in my book. Smash Up, Awesome Level 9000 is a welcome expansion for anyone who owns the game or is looking to get into it. It’s not going to set you back much at $15 and it’s going to add a lot of variety to your game, along with the possibility to play with more players. 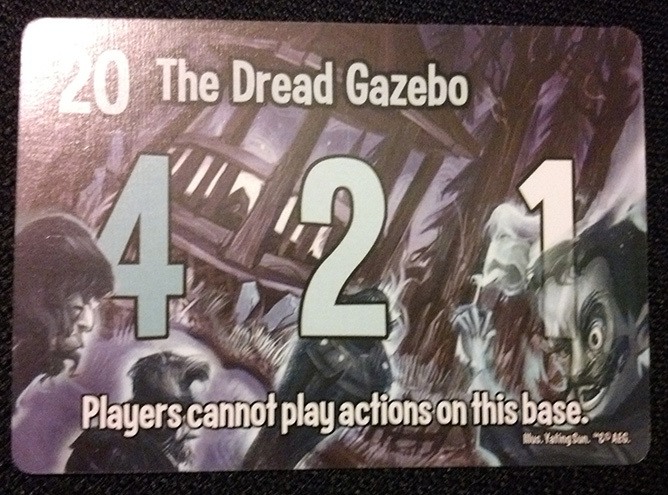 Though playing with more than 4 might be outside of the game’s rule book it’s totally possible and is a lot of fun. I should also mention that even though the artwork contains some stuff like ghosts, it’s all very safe for family game nights. I’ve found myself playing a lot with my wife and my son. 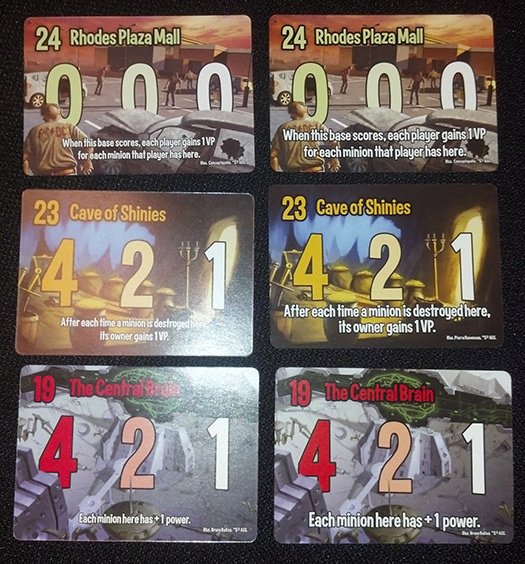 Smash Up is a hit, and this expansion is no exception, do yourself a favor and grab yourself a copy! Thanks for reading!